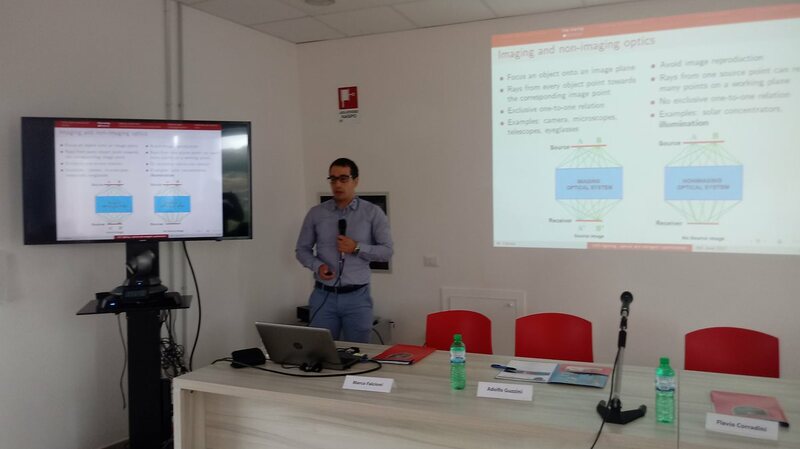 Marco Falcioni discussed his PhD thesis "Led Lighting: Optical and Energy Optimization" at the University of Camerino on the 8th of June. Adolfo Guzzini, President of iGuzzini, David Vitali, PhD supervisor and coordinator of the Physics Curriculum at the School of Science and Technology, Roberto Ciccocioppo, Director of the School of Advanced Studies UNICAM and the Rector, Flavio Corradini were all present for the event. 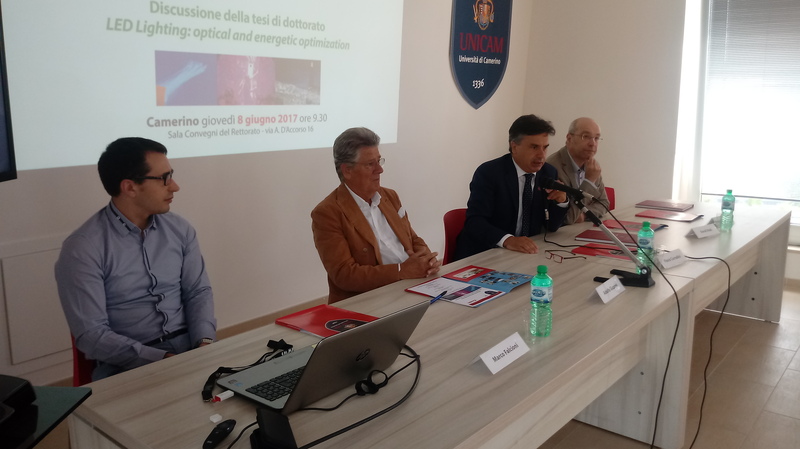 The thesis presented the research carried out at the Recanati Headquarters under the Eureka Project, a Marche Region initiative part of the Operational Regional Program FSE 2014-2020 which puts Universities and local companies in collaboration. The goal is to increase the skills and employment potential of the researchers by co-funding a three-year scholarship for young unemployed. Eureka's main objective is to allow the researcher to explore relevant issues and provide a fresh and innovative contribution to the company. For this reason, after a period of initial training, Marco Falcioni worked together with iGuzzini in the process of LED optic optimization - Opti Smart Lens for Platea Pro and Opti Beam Lens for View. The PhD student initiated a new partnership with the German University of Jena, with which he pursued the study of LED optics’ design through an advanced software and the support of the professor Frank Wyrowski and his team. Shifting scientific academic skills into practical application, this virtuous path integrates in the continuous effort to maximize energy efficiency through Led technologies. A recommendation made also by the 2025 Strategic Guidelines of Lighting Europe, the category association representing the lighting sector in Europe. The collaboration between iGuzzini and UNICAM began thirty years ago with a project to improve the quality of working environment by reducing noise levels. This partnership is part of the many agreements that the company has made with local universities. Guzzini trains high potential youths with the ambition to give a strong impetus to research that could even result in a long-term working relationship, as in this case with Marco Falcioni.